How Does a Far Left Anti-Trump Obama and Hillary Deep State Donor Get Nominated to Ambassadorship in a Trump Administration? 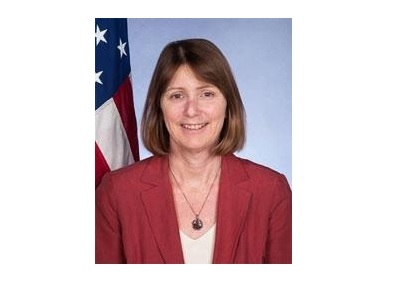 President Trump recently withdrew the nomination of State Department official, Kathleen Ann Kavalec, as US Ambassador to Albania. As Cristina Laila reported earlier Kvalec previously communicated with dossier author Christopher Steele and supplied information to top DOJ official Bruce Ohr before and after the 2016 presidential election. Kavalec also met with Christopher Steele in person to exchange information on the bogus Trump-Russia connection. And Kavalec donated $250 to Barack Obama in 2012 and donated $250 to Hillary Clinton in 2016. Rep. Mark Meadows dropped a bomb on the Deep State Monday night and revealed sitting ambassadors were involved in the coup to get Trump. We now know that Kavalec was one of the names. And how does a far left anti-Trump Obama and Hillary Deep State donor get nominated to ambassadorship in a Trump administration? Especially after she was passing on illicit information to remove President Trump from office! Is EVERYONE in the Swamp anti-Trump?